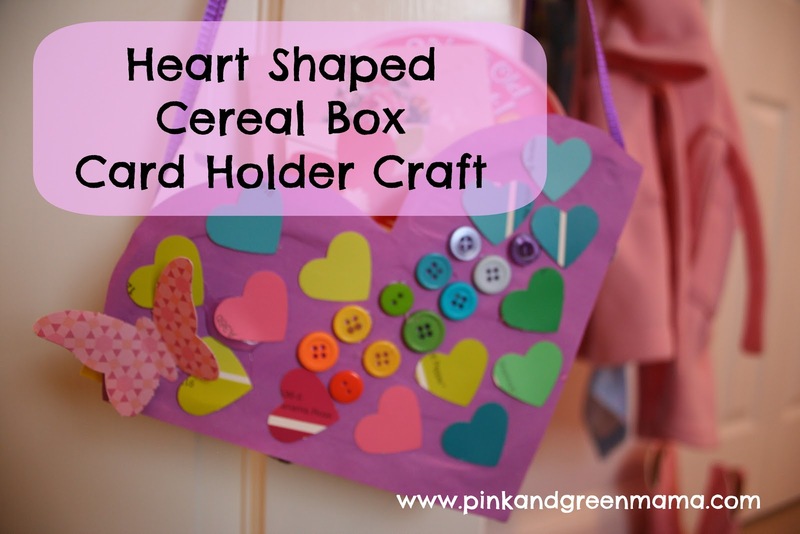 to hang on our bedroom doors, made from re-cycled cereal boxes! We decided it would be fun to make a couple of heart-shaped mail boxes for our family valentines. forms the point of a heart. Then cut two bumps to be the top of the heart. This is hard to explain with words so just check out my photos and it should make sense!! we used construction paper and Elmer's School Glue but you could also use gift wrap! We cut out paint chip samples for one of the boxes with a heart-shaped punch. (with great intentions of using them to make presents pretty!). or on the back of a chair at the kitchen table. and valentine cards, or drawings and have fun! * Homemade Lollipop Photo Valentines! * Valentine's Day Posts Greatest Hits!